For cultural and heritage institutions around the world, sustainability is the major challenge of the twenty-first century. 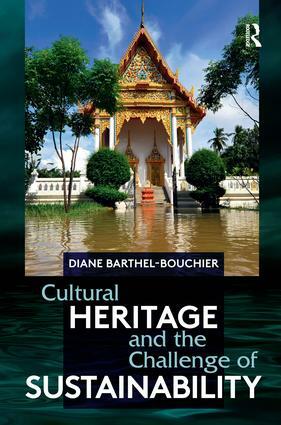 In the first major work to analyze this critical issue, Barthel-Bouchier argues that programmatic commitments to sustainability arose both from direct environmental threats to tangible and intangible heritage, and from social and economic contradictions as heritage developed into a truly global organizational field. Drawing on extensive fieldwork and interviews over many years, as well as detailed coverage of primary documents and secondary literature, she examines key international organizations including UNESCO, ICOMOS, and the World Monuments Fund, and national trust organizations of Great Britain, the United States, and Australia, and many others. This wide-ranging study establishes a foundation for critical analysis and programmatic advances as heritage professionals encounter the growing challenge of sustainability.